A new job company job circular for Diploma in Electrical Engineering students. Tongwei Feed Mill Bangladesh Ltd added a new job circular. 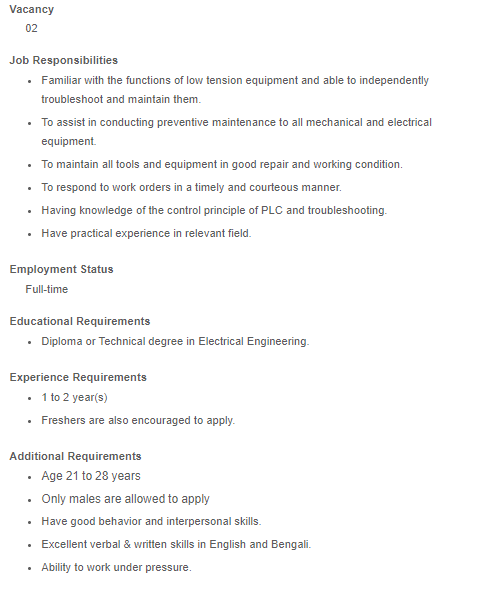 In this post, we added this job circular full details. If you interested in it. Please read this full post and get this job circular full information. We hope everyone apply for this job. If you have any problem to get this job circular details. Please inform us. Thank you.